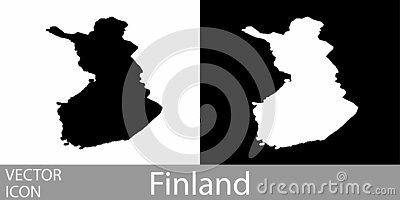 Finland detailed map flat black and white vector icon. Europe map with the European Union. Finland map silhouette and Finland flag.